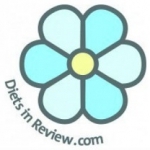 Anyone can tell you how to live a healthy lifestyle, but at DietsInReview.com we're proud that our team models it every day. We're a fun-loving bunch who are serious about fitness, nutrition and overall wellness. Since 2007 we've been the leading diet review site on the web, and our well-credentialed team shares the latest news and trends from the diet world. You can follow us on Twitter and Facebook.